BlizzCon Virtual Ticket holders can add to their Hearthstone collection with 10 card packs taken from across the Year of the Raven. Blizzard continues to reveal its grab bag of goodies that's set to be delivered to fans who pick up this year's BlizzCon Virtual Ticket. Special items have already been revealed for Heroes of the Storm, Overwatch, and World of Warcraft. 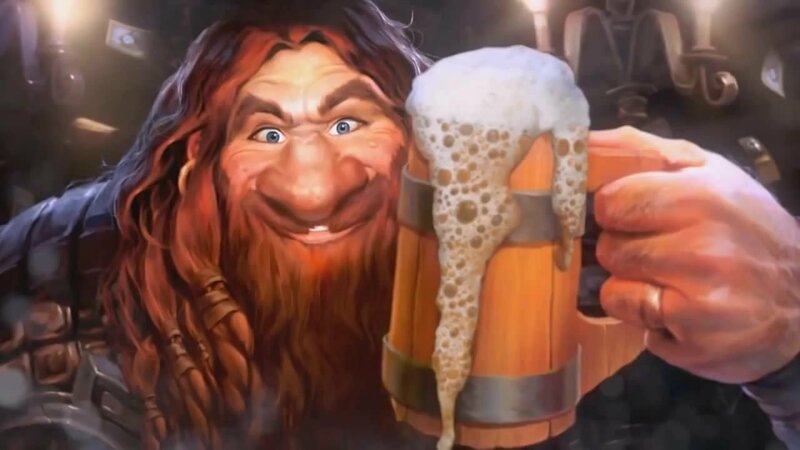 On Wednesday, Blizzard revealed what Hearthstone users can expect. The new hotness that Hearthstone players can look forward to is a 2018 BlizzCon Card Back, glowing blue like the stars that Stargazer Luna looks into every night. For those who feel that might be a bit underwhelming, Blizzard is also throwing in a special 10 Card Pack bundle featuring two Classic packs and two packs from the Witchwood, Kobolds & Catacombs, Knights of the Frozen Throne, and Journey to Un'Goro sets. This should help players set aside some of their Gold for whatever expansion is sure to be announced at this year's convention. As for Hearthstone itself, the game is about to undergo its latest batch of changes. Blizzard has teased that the next bout of card balance changes will be revealed this Monday, October 15. We've been discussing a couple of card balance changes to make next week. We'll have more information to provide on October 15. For more on this year's Hearthstone goodies and the BlizzCon Virtual Ticket, be sure to visit the BlizzCon website. BlizzCon will run from November 2-3 from Anaheim, CA.